I charted this lovely scrolly alphabet from a French sampler in my collection adding the pretty key motifs from the same sampler. 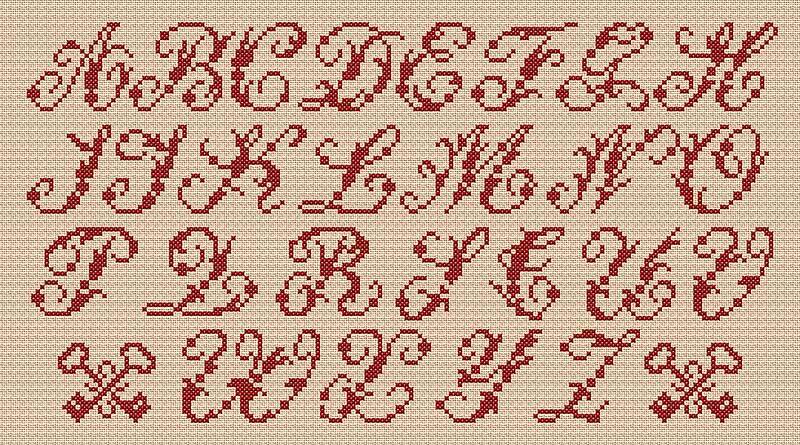 The letters are worked in pure cross stitch with no fractional stitches. My preference would be to stitch these on unbleached linen but then it is my favourite fabric! You can, of course, work this on any fabric of your choice but remember that the thread count of your fabric will determine the completed size of the completed stitching.